If formal management elections are a sign of a firm coming of age then Mishcon de Reya, the second fastest growing firm in terms or organic revenue over the past five years, is all grown up, with Kevin Gold and two department heads formally elected for a further term. The 254-lawyer firm has given its vote of confidence to incumbent head of corporate Nick Davis and disputes leader Kas Nouroozi, although, given that neither Gold nor the department heads faced any challengers, the inaugural election appointments have more of the symbolic than the victorious about them. The new election process means that Mishcon’s partners will vote for two of the department heads every two years on a rolling basis, while the managing partner position will be voted on every three years. Other heads of department include family practice leader Sandra Davis, James Libson, who runs private client and is also the executive partner, employment chief Joanna Blackburn and head of real estate Nick Doffman. Since then, the firm has had another impressive financial year, its 2012/13 revenues up by 21% to £88.4m while the profit per equity partner rose by 20% to £840,000. By profitability, the firm now sits just outside the top 10 firms in the LB100. The firm also has had a few new and interesting developments up its sleeve, including the launch of a venture for high-net-worth individuals headed by Libson. The service looks after the interests – legal and non-legal – of private families and individuals including trusts, tax planning, reputation management, family issues, and business matters. However, with success comes a pressure to sustain the firm’s performance in an enduringly turbulent market. Pressed last year on when he might step down, Gold gave the emphatic answer: ‘Not for a while’. Now we know, not for three years, at least. In a case where the profile of the parties far outshone the legal substance and had many media outlets overexcited, global popstar Rihanna yesterday ( 31 July) won a High Court battle against high street retailer Topshop over the unauthorised use of her ‘brand’. The £5m case has resulted in untold lovely column inches and hopefully hefty fees for the two firms involved, Reed Smith and Mishcon de Reya. Suing parent company Arcadia Group, the Barbadian songstress, whose real name is Robin Fenty, filed the claim after Topshop sold t-shirts with her face printed on without permission. She was represented by 8 New Square’s Martin Howe QC and Hogarth Chambers Andrew Norris, who were instructed by Michael Skrein at Reed Smith, while One Essex Court’s Geoffrey Hobbs QC and 11 South Square’s Hugo Cuddigan acted on behalf of the retail giant under the instruction of Jeremy Hertzog at Mishcon de Reya. The issue at trial, which took place over a four day period between the 17 and 23 July, was whether Topshop had committed the tort of passing off by using Rihanna’s photograph on its t-shirts. There has been little precedent for the rights of celebrities to protect their image in the UK, with the most established case involving former Ferrari F1 driver Eddie Irvine who successfully sued TalkSport in 2002 for using his image to endorse the radio station. Mr Justice Birss, who opened his 16-page judgment with the thumpingly literal line: ‘Topshop is a well-known fashion retailer. Rihanna is a famous pop star’, ruled that a substantial number of purchasers would likely be deceived into buying the t-shirt because of a ‘false belief’ that Rihanna had authorised it, which would ultimately be ‘damaging to the claimants’ goodwill’. ‘For one thing it amounts to sales lost to her merchandising business. It also represents a loss of control over her reputation in the fashion sphere. The fact the garment is a high quality product does not negate that aspect of damage. It is a matter for the claimants and not Topshop to choose what garments the public think are endorsed by her.’ So far, so obvious. 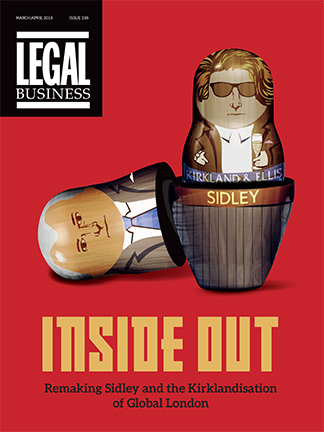 Certainly the case has done much to enhance the profile of the two solicitors, Mishcons’ Hertzog and Skrein at Reed Smith. Hertzog was quoted in City AM this morning saying: ‘There is “no such thing as a free standing general right by a famous person (or anyone else) to control the reproduction of their image”. Put simply, there is nothing unlawful in selling garments bearing the images of well-known celebrities without the approval of the celebrity in question.’ Meanwhile, Skrein and Reed Smith have stayed quiet, with a single line: ‘The judgment speaks for itself,’ the only comment attributed to Skrein so far. Jason Rawkins, head of the fashion group at Taylor Wessing, says the odds were always ‘stacked up against Topshop’. ‘There haven’t been many image rights cases in England because most just settle,’ he says. ‘It’s quite interesting when you compare what was going on in the 70s to now, and how the world has moved on. The judgment is partly a reflection of how the real world has changed and ultimately how the public have changed in their thinking. It is now the norm for celebrities or musicians to make money outside of the day job. Perhaps pop stars such as Rihanna should brush up on their knowledge of offshore legal jurisdictions, as Guernsey has been pioneering legislation and a register for image rights that can be enforced effectively. Topshop will be seeking leave to appeal, according to Mishcons’ website. But for now, it seems that as far as the English legal system is concerned, the singer has found love in a hopeless place (sorry). For a link to the judgment click here. Visit the IP blog IPKat for its good value and irreverent take the case. It’s become a familiar fixture in the annual reporting season to see Mishcon de Reya announce annual growth rates that are the envy of its peers and the London law firm hasn’t disappointed. This week, Mishcons confirmed a turnover increase of 14% to £83.5m for 2012/13 – an increase of £10m on last year’s £73.1m. Profits per equity partner at the 300-lawyer firm are expected to top £700,000, making it one of the most profitable firms outside the City top 10. Mishcons has now grown revenues by nearly 200% since 2006/07, a performance vastly ahead of the LB100 average. Legal Business caught up with managing partner Kevin Gold to find out what the firm is putting in the Kool-Aid. Gold says that its growth has come in large part from an ambitious three-year strategy that has seen the firm invest heavily through the down-turn. As part of this Mishcon aimed to build a distinct brand as an adviser bridging high-end private client work with an entrepreneur-heavy corporate client base. This link is neatly made through the firm’s heavily-promoted motto, ‘It’s business. But it’s personal’. But despite Mishcons’ rising transactional aspirations, there is no doubt that the firm still sees disputes as core to its growth and has no intention of aping the full-service model of many City rivals. ‘We are generally conflict-free against banks and financial institutions,’ he says. The firm will shortly launch a new venture for high-net-worth individuals called Mishcon Private. Executive partner and head of Mishcon Private James Libson has been leading the project. The service will look after the interests – legal and non-legal – of private families and individuals including trusts, tax planning, reputation management, family issues, and business matters. Despite Mishcons’ bold decision to launch a litigation practice in the US in 2010, Gold says the next three years will see it avoid any further international launches. However, the firm is planning to unify its expanding London business from three current sites into one building in the near future. The firm has a (now rather conservative-looking) revenue target of £100m by 2016, and a spate of recent lateral hires – including real estate partner Raji Bartlett from SJ Berwin and Dundas & Wilson private equity duo Simon Sale and Nadim Meer – suggest the expansive form will continue. Mishcon de Reya has enhanced its real estate finance offering with the addition of former SJ Berwin partner Raji Bartlett. Bartlett joined Mishcon as a consultant this week, having previously been a partner in the finance department at SJ Berwin for the last 16 years. An advisor of financial institutions as well as corporates and sponsors/funds, Bartlett has particular expertise in advising borrowers and lenders in syndicated real estate investment and development finance as well as acquisition/leveraged finance transactions. ‘I already have connections with some of its real estate clients,’ he added, confirming that he will bring clients with him. ‘Mishcon for the last three years has grown significantly,’ says Bartlett. ‘The firm has had a very healthy increase in turnover and profit in the last year, so the hope is that this continues. Mishcon has been one of the strongest performers financially in recent years. In 2011/2012, the firm grew revenues by 12% to £73.1m. Profit per equity partner also increased by 22% to £700,000, according to the Legal Business 100. SJ Berwin also lost corporate partner Nicholas Plantst to Dentons this week. However, the latest departures are another blow for Dundas, which has suffered multiple departures in the last year. Most notable was the resignation of long-serving corporate partner Michael Polson in November, as well as former Stephenson Hardwood CEO John Pike, who left Dundas after less then a year to join Osborne Clarke in February. Other recent exits include technology and media expert Paul Graham who left for Field Fisher Waterhouse, while restructuring head Claire Massie moved to Pinsent Masons. Real estate specialists Shane Toal and Martin Thomas also went to Osborne Clarke and Wragge & Co respectively. In statement Dundas said it was continuing to focus its London office on ‘key areas of strength’. This includes work flowing from the cross-border UK real estate team recently hired from Semple Fraser and a reappointment earlier this year by Land Securities to its panel. Co-managing partner Allan Wernham said the firm had been ‘very clear’ in the last six months about its strategy, and ‘for London that means a focus on playing to our strengths by investing in the areas we are best known for’. ‘Taking this approach will enable our corporate practice to play a key role in delivering our strategic ambitions for high-growth sectors across the London marketplace,’ he added. However Douglas Connell, senior partner of Turcan Connell -which spun out from Dundas in the late nineties – suggested that the exits were a planned response to recent poor financial performance. Dundas was the worst-performing firm in the LB100 last year, posting a 12% fall in revenues to £54.5m, while profit per lawyer was down 36% to £49,000. He added that it is inevitable that downsizing leads to the defection of partners. DLA Piper has revealed plans to open a second London office this year, concentrating on the burgeoning technology startup community. Simon Levine, the firm’s IP and technology global co-chair, said plans were to open ‘before the summer’, with the office likely to be located in the Tech City area of East London, near the Old Street roundabout. Mishcon de Reya was a standout performer in the 2011 LB100, jumping 11 places on the back of a 37% leap in turnover. LB charts the firm’s recent success and asks senior management where it is heading. Kevin Gold, Mishcon de Reya’s managing partner, leads the way to a meeting room clutching a walking stick, the result of a motorcycle accident in June 2008. He broke his leg and encountered a number of complications while recovering, including contracting MRSA in hospital. For almost two years, as he underwent 19 operations restoring him to mobility and health, Gold was not always around. But such was the strength of the firm he had shaped over the preceding ten years that Mishcons went from strength to strength during that time becoming, as Gold puts it, ‘pretty unique’.